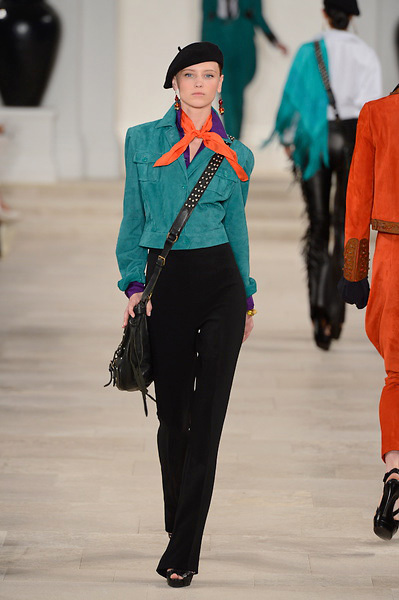 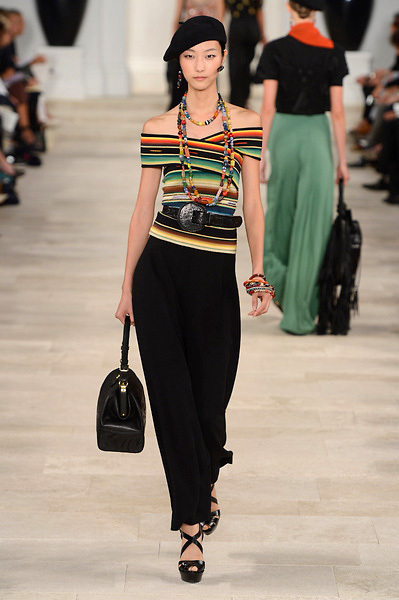 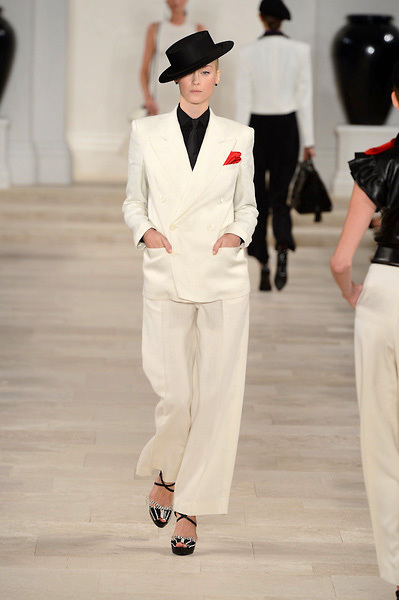 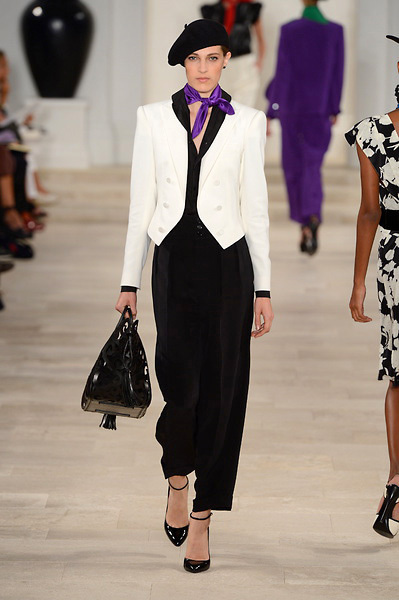 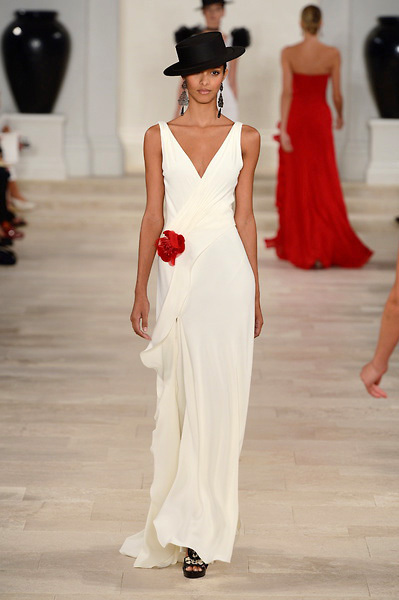 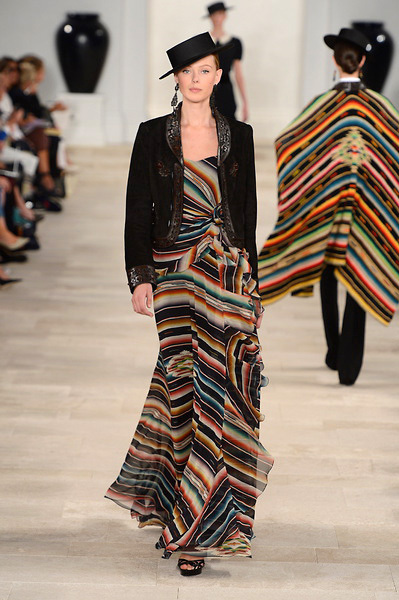 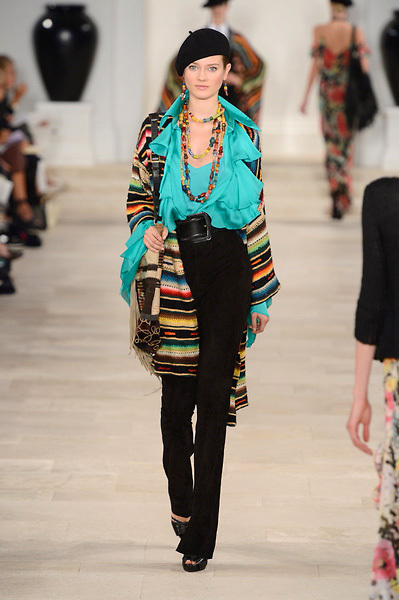 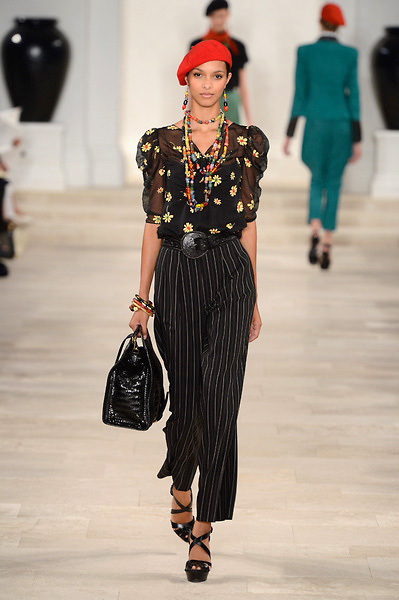 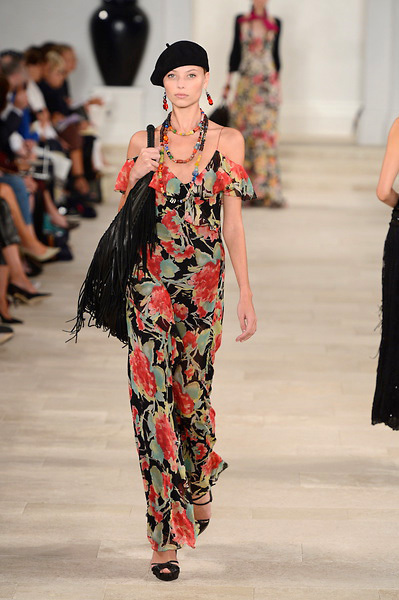 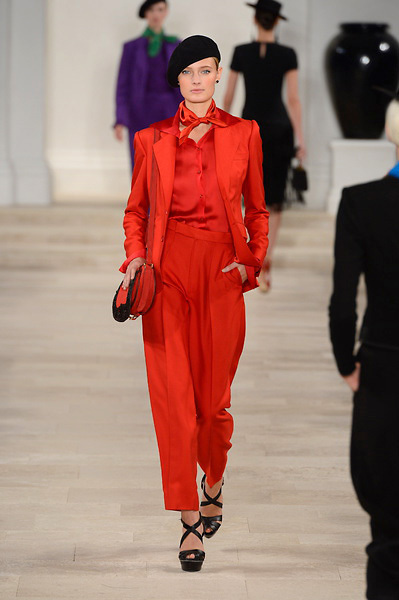 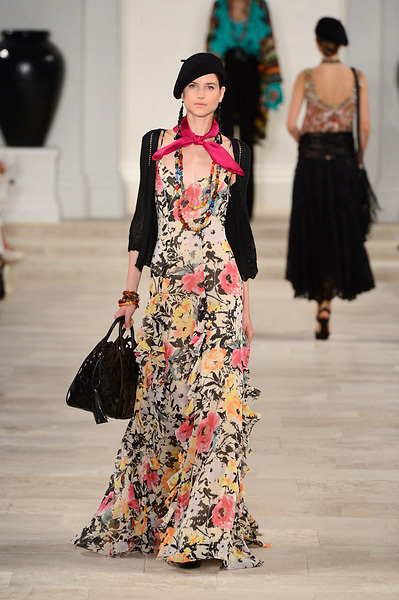 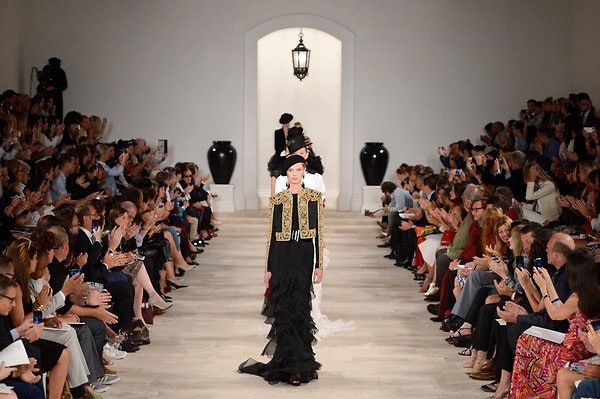 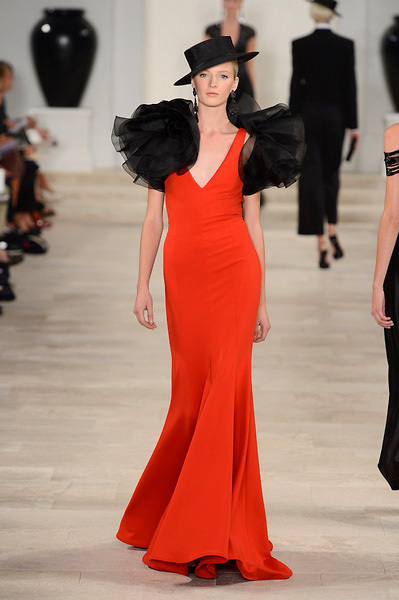 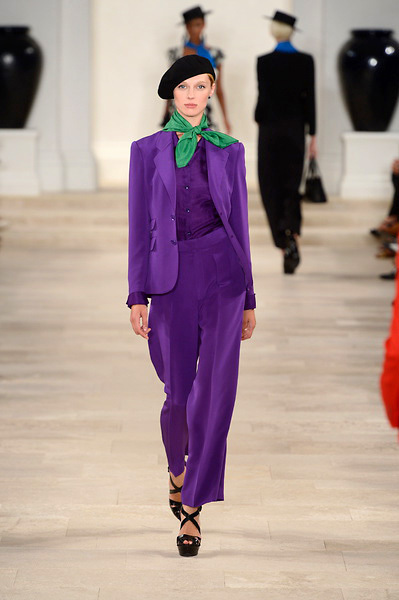 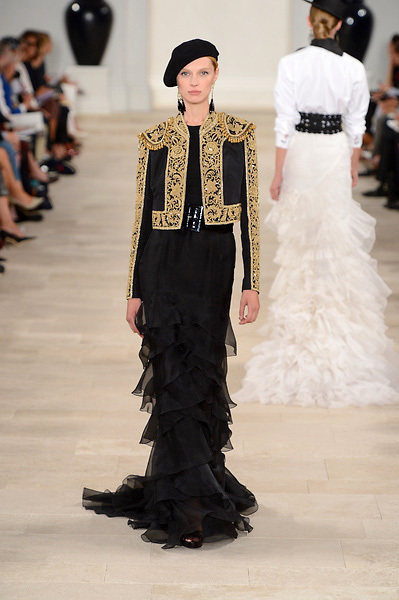 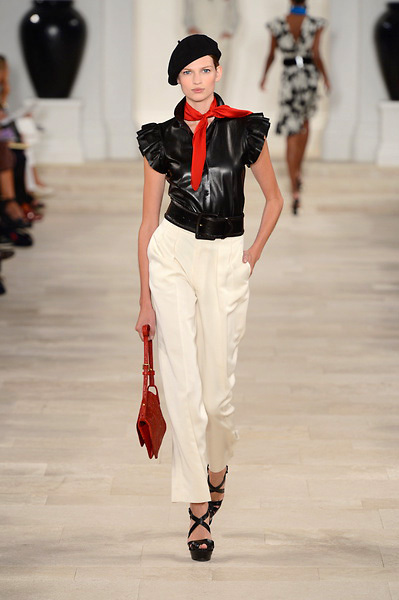 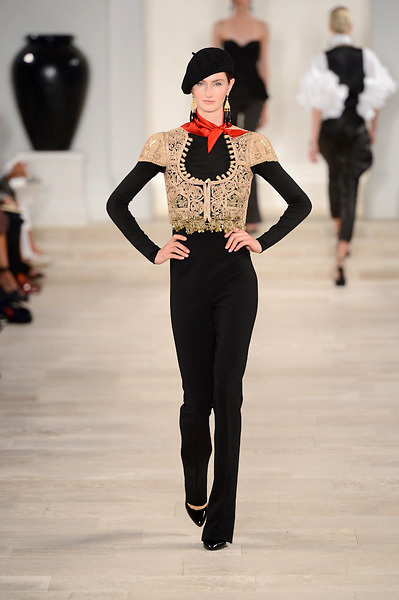 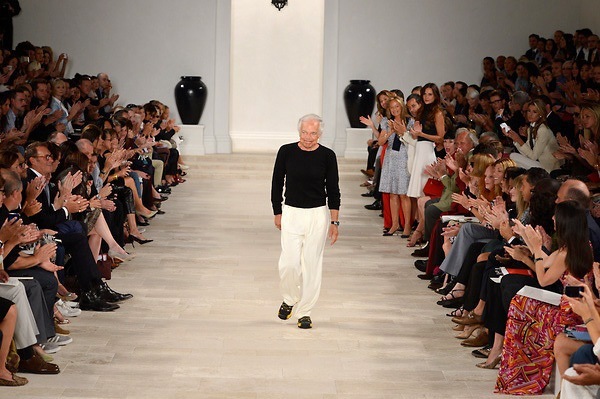 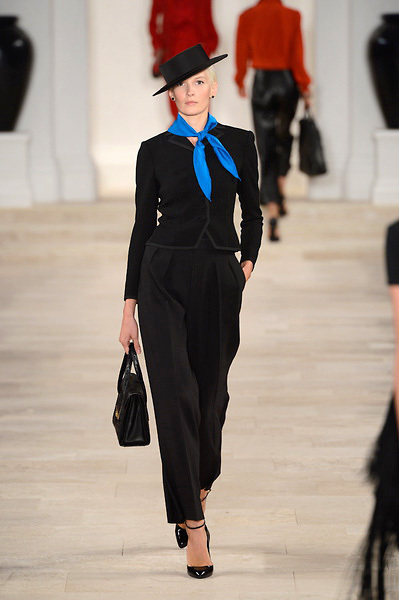 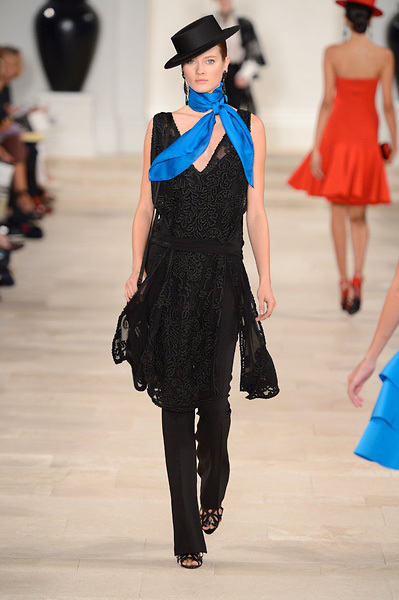 Ralp Lauren was inspired by far away exotic places, this time Spain or Latin America. 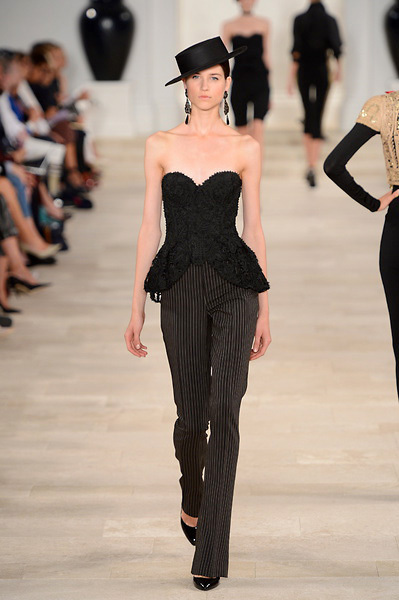 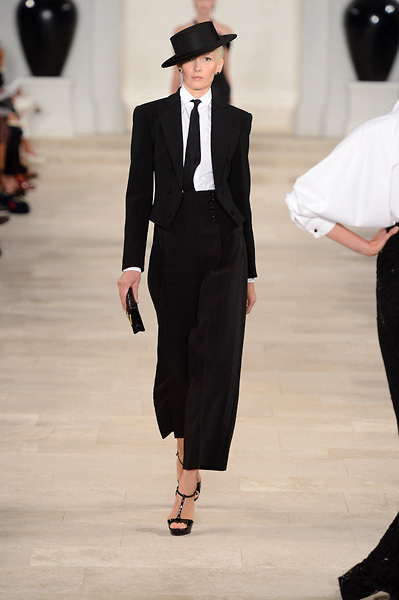 Matador suits, serapes, ruffles, fringe—they all got the Lauren treatment. 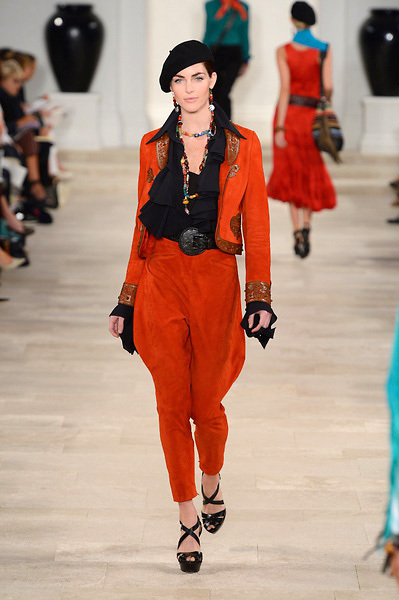 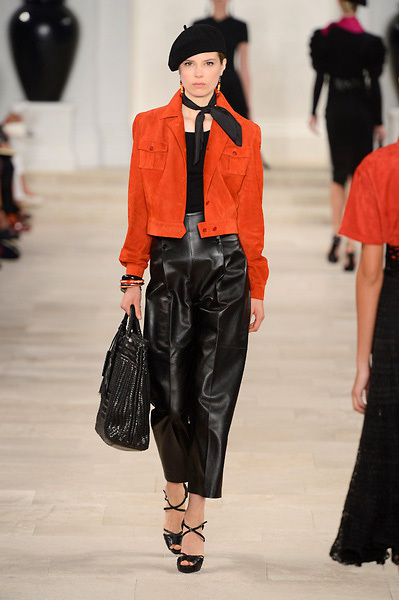 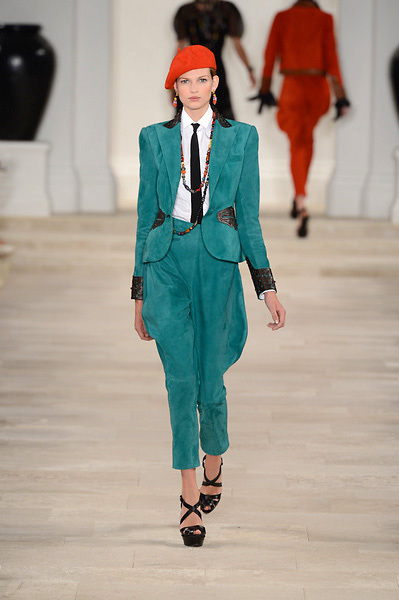 Playing with black, white, red, and turquoise he started with soft tailoring in suede, some of which was accented with tooled leather details. 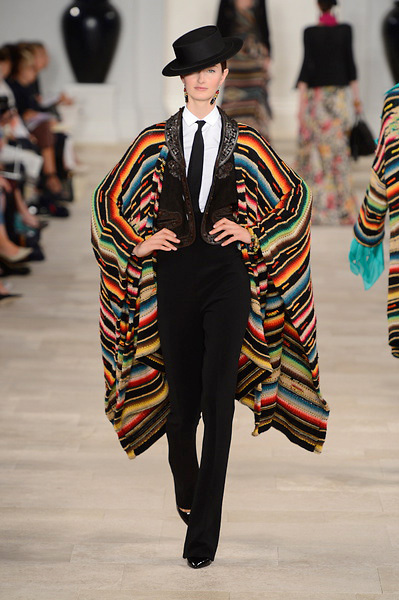 Shawls and ponchos turned up in various forms, and dresses and skirts were hand-crocheted. 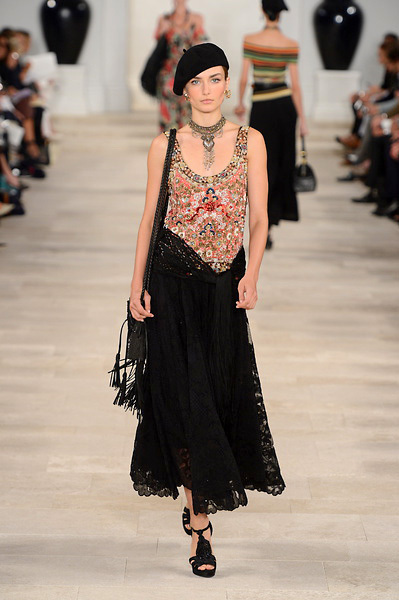 Scarves knotted at the neck, glass bead necklaces, and studded leather mailbags completed the vivid picture.